Bailey is graduating from Westerville South High School, where I graduated from! She is a soccer player who is also hard at work to earn that money! Good luck Bailey! GO WILDCATS! Beth & Cameron are getting HITCHED! When you're given clients that include a bonafide Pinup Model and a Rockabilly Shop Junkie, you never know what you're going to get! Couple that with the fact that Beth is on a "break" from modeling, so of course I had to take that opportunity to take some solo shots of her! I just shot their wedding this past Saturday, just two weeks after we shot their engagement session! You read that right! Two weeks!! Local Columbus Model, Willow, needed to work on her hair and makeup portfolio in March of 2016 and found a budding model who also needed to expand her portfolio. 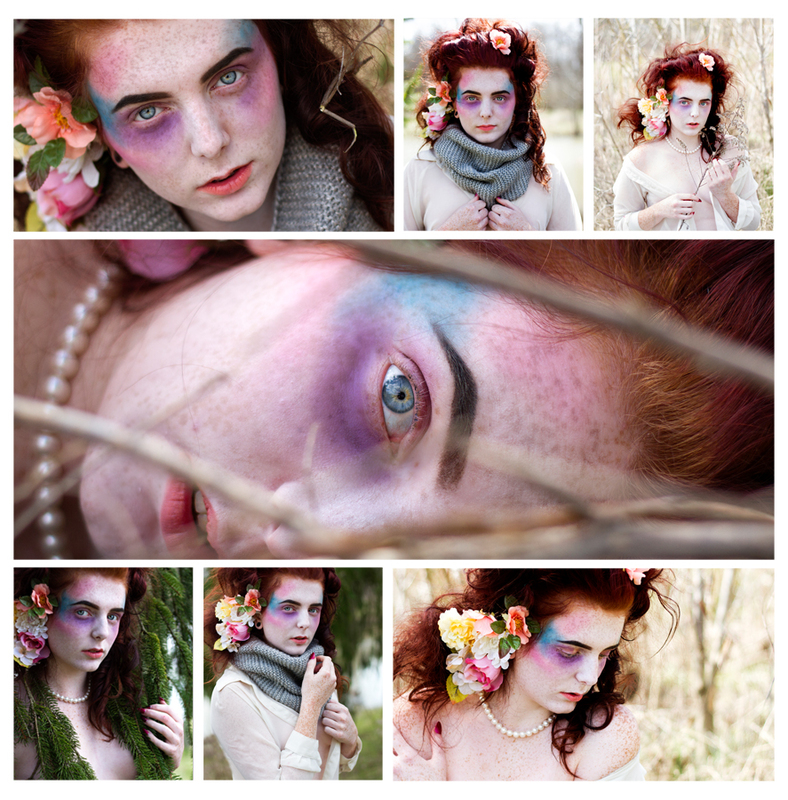 Eden was such a trooper during this shoot because it was definitely COLD that day! Not only was it cold for Willow and I, fully clothed, Eden was sparsely dressed for our Winter Nymph theme.